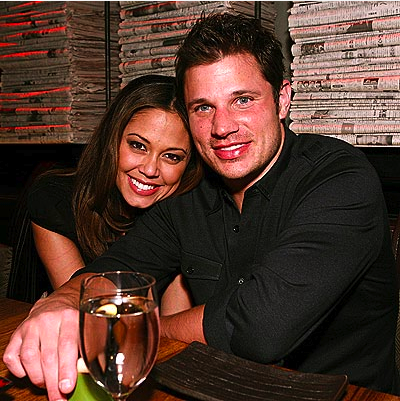 Vanessa Minnillo and Nick Lachey got married today in a tropical ceremony that will be aired on TV on TLC’s special, Nick & Vanessa’s Dream Wedding on July 30 from 9-11pm ET/PT. There were just 35 friends and family there for the big day, People is reporting. “For us, this is just a stepping stone to do what we ultimately want and that’s to start a family together,” Minnillo had said. They did this as a surprise, no one knew what was up. “Nobody knew where they were going,” she said. Vanessa wore a two-piece Monique Lhuillier gown with an intricately embellished lace corset with rose and crystal detail, paired with a signature hand tufted skirt made of silk faille. The look was completed with a tailored bow belt at her waist and chapel length tulle veil. Nick looked amazing in a Dolce & Gabanna suit. Congratulations to the happy couple! Can’t wait to see the wedding on TLC! Jennifer Lopez Has a BOYFRIEND!